Attention: for best quality reproduction, keep in mind the following tips. Cropping does occur – keep important items 2cm/1″ away from edges. Ensure that each art piece is well concentrated in colour and the main subject is centered on the paper. Use the entire area. Artwork created with the following work best: crayons, watercolours, tempera paints, markers, paper collage, and/or pastels. Budding Artists prefers borders not be included within the art piece. However, if you are adding a border, ensure it is at least 1″ thick on all sides. If signed, it must be at least 1″ from the edge. Erase all unwanted lines, marks and smudges. 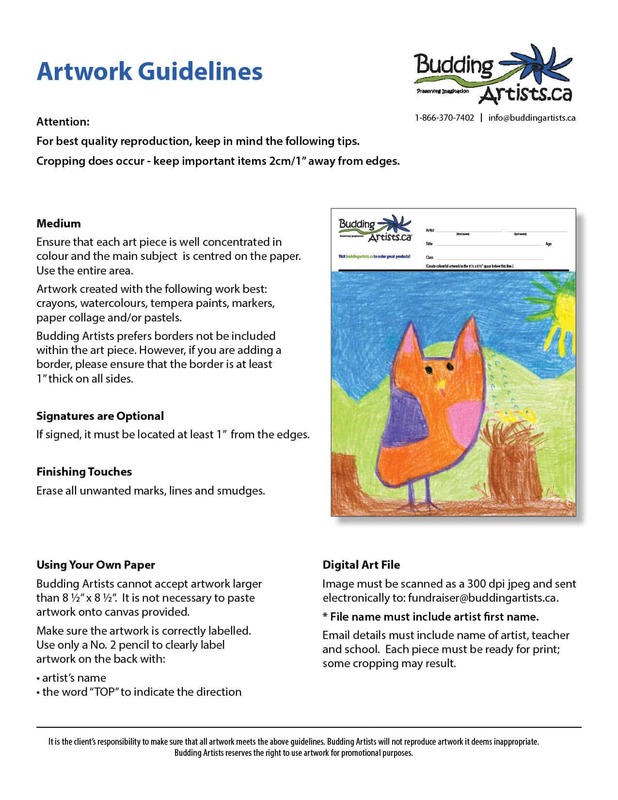 Budding Artists cannot accept artwork larger than 8 1/2″ x 8 1/2″. It is not necessary to paste artwork onto canvas provided. * File name must include artist first name. 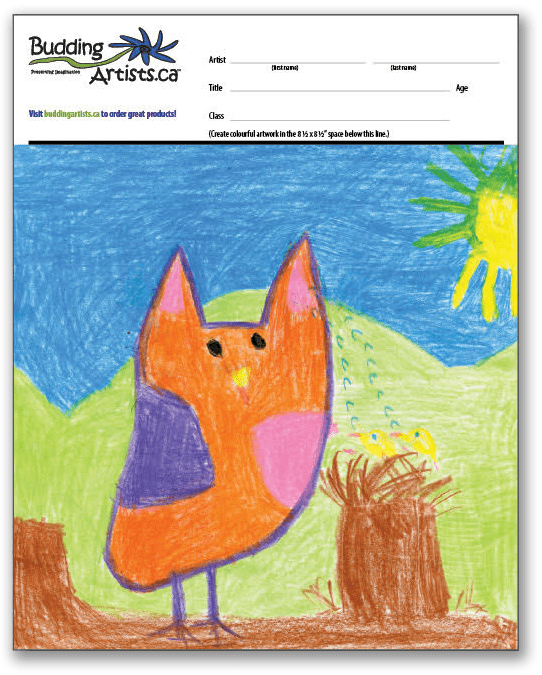 Email details must include name of artist, teacher, and school. Each piece must be ready for print; some cropping may result. It is the client’s responsibility to make sure that all artwork meets the above guidelines. Budding Artists will not reproduce artwork it deems inappropriate. Budding Artists reserves the right to use artwork for promotional purposes.